In the early morning hours before opening its doors to the public, VOLTA Artistic Director Amanda Coulson sits behind an industrial wood table with a cappuccino steaming in front of her in the Markthalle. The space has undergone many changes since it was first built and served as an active marketplace until 2004. Now the octagonal dome structure, the third largest in the world is under monumental protection. The hallways are quiet and a large-scale photograph of a woman wearing a pink Darth Vadar mask from Alexander Palacios’ series P!NK UP YOUR LIFE listens to our conversation. We reflect on the early days of VOLTA and the tight knit team working behind the scenes that feels like a family. 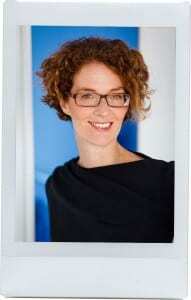 VOLTA Artistic Director Amanda Coulson. Photo by David Willems Photography. It’s been ten years since VOLTA was founded and after exhibiting in five different spaces in Basel you have returned to the Markthalle. Yeah, exactly. This is our fifth move, back again. It was always kind of been a theme of VOLTA that every few years we had to move, it’s good but in a way is a challenge. The thing about moving is that you always have to rethink the floor plan and understand how bodies move in the space and consider how the layout of the fair will inspire conversations between the galleries. The Markthalle is a significant location for VOLTA and for Basel as a city. This wasn’t our original spot, we moved a few times. We started in the Voltahalle and the Voltaplatz, which is how we got our name. Then we moved to the harbor, which was funky and super cool. But after that we couldn’t stay, this was always where we wanted to go. So when we got here in our fifth year, we found our home. 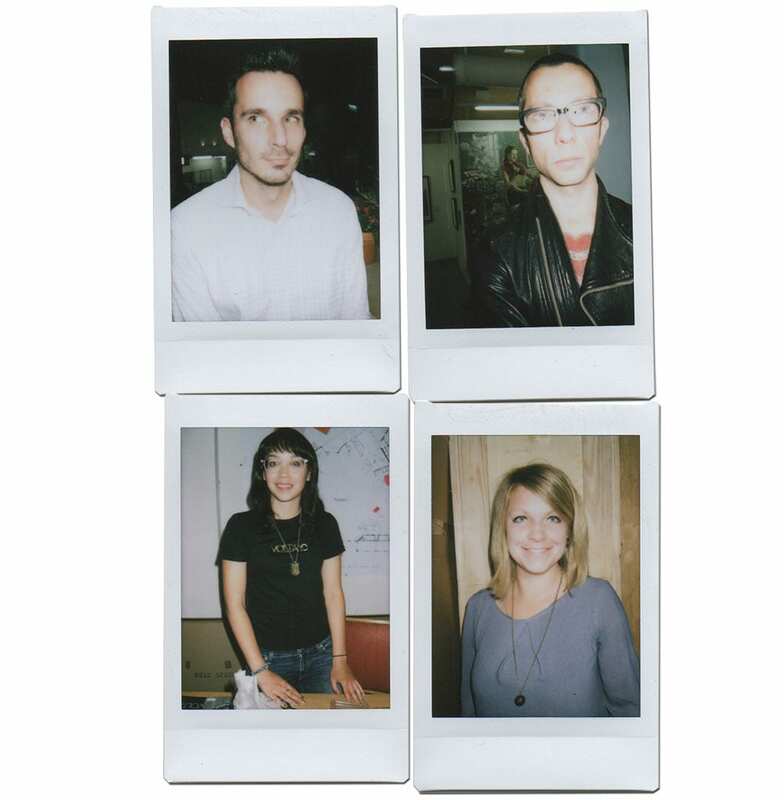 The VOLTA team is very much like a family. The passion of each member of the team is contagious and inpisres a creative energy that encourages patrons to engage in conversations with the gallerists. That is something that is hard to cultivate but we clearly aspire to accomplish every year. At the first VOLTA, a lot of collectors commented on that atmosphere. I think it is because it all started very organically, we were just friends calling up with each other. When you say “family,” there is that aspect too. I am married to VOLTA’s co-founder Uli Voges. I found out I was pregnant with our second child on the opening day of the first VOLTA at Basel. In the past our kids would come, our dog was here several times running around with an exhibitor’s tag. Everyone has seen our kids grow up. We are kind of like a weird family. I met Chris De Angelis, the Managing Director, when he was 22 and he was finishing University; he started as an intern and he has grown with us. That first year collectors also commented that VOLTA was the first art fair they had every been to where dealers where taken out of their own booths and into someone else’s booths. We would also encouraged exhibitors to explore the fair by saying, “you know what, there is something around the corner that I know you are going to love!.” Exhibitors had never experienced that in an art fair before. Art fairs have always been so competitive, everyone guarding their little booths. That year VOLTA somehow was very relaxed and very familial, that is something that we are very aware of and we try to keep in our communications. We never write formal. We try to maintain an open conversation. 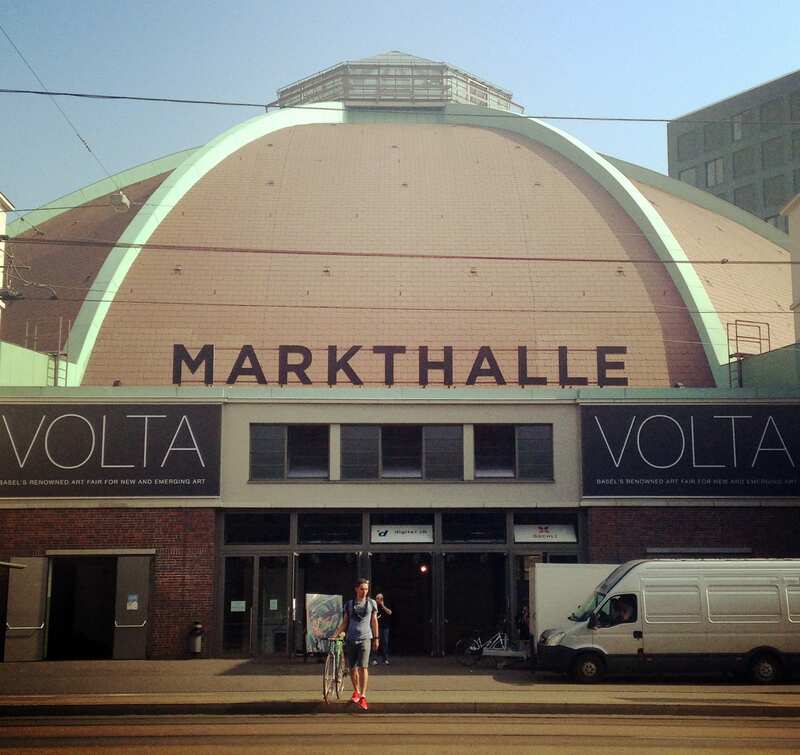 The open architecture of the Markthalle reflects the ethos of VOLTA. 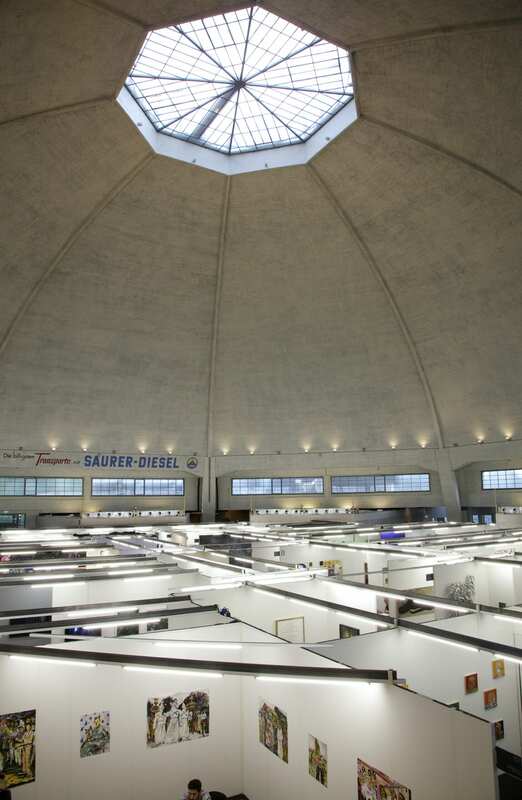 The architecture fosters a dialogue as vast as the expanse of the dome. When walking between each booth one feels an undeniable passion from the exhibitors and enthusiasm about the work they are presenting. The dealers really care. I travel to art fairs and go to the galleries of the cities I’m in. I love to talk to dealers about their artists and listen to them talk. You can really hear when a dealer is talking about his artists whether they are really passionate and committed or whether they just want to sell. That is something we look for, passion. We try to be transparent, when we started VOLTA we established that was “for galleries by galleries.” That was our tagline in the beginning when galleries where really involved. Having been married [to Uli Voges] an art dealer of 20 years, I’ve seen his side of if when you get the rejection letter, when you get moved to the back row and no one tells you why. So I try to be extremely communicative and keep the process as transparent as possible. We do our research in the artist and the gallery and we try to make fair decisions. In our rejection letters we really try to explained what happened, how the fair is changing, etc. If that engenders a response and they don’t understand, I actually take the time to explain and tell them what they can do differently next year. Art fairs can be so archaic and I think it really helps everyone if you explain the process with as much transparency as possible. What is next for VOLTA? 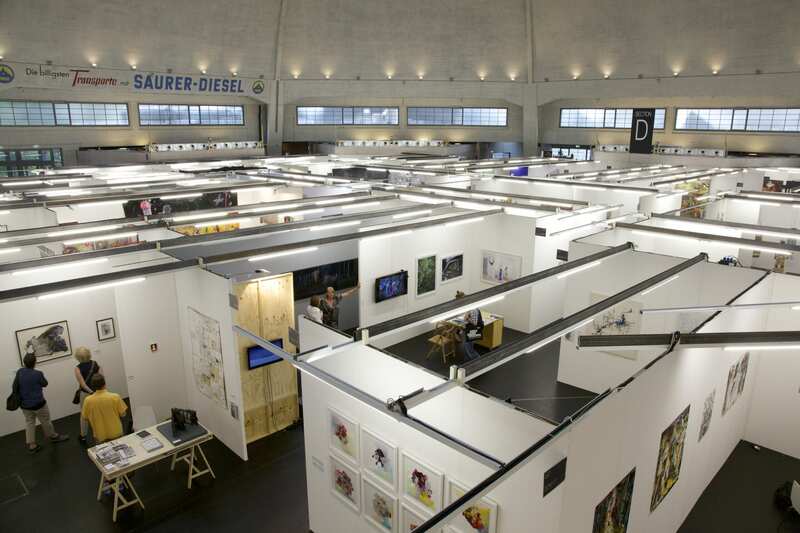 The move to the Markthalle was really important for us because it allowed us to get back a lot of the galleries who had thought VOLTA was going down the path they were not sure they wanted to be on. Really excellent galleries who haven’t been with us for 4 or 5 years. They are back in our family, the VOLTA family. As artistic director, did you have a theme in mind? Was there a particular narrative? We always talk about VOLTA been a curated fair but that applies to New York than it does here here, In New York we are we are working with solo projects and you can really curate. You can arrange a conversation between each booth. It is much more difficult here because galleries bring two, three artists so you can’t really impose a theme but we do try to impose restrictions on booth. If they want to bring more than three artists, it has to be a show. We ask exhibitors to think about their booth seriously. When there is no sense of cohesion between the group it becomes more like merchandise. Then you are just going from booth to booth seeing the top six sellers of each gallery and obviously that changes the atmosphere into statements or features. We always try to tailor the vision in each booth so that the whole fair has a sense of consistency.  Archived in Contemporary and tagged Amanda Coulson, Architecture, Basel, Markthalle, Nicholas Winter, P!nk Up Your Life, Special Issue, Uli Voges, VOLTA 10. Bookmark the permalink.